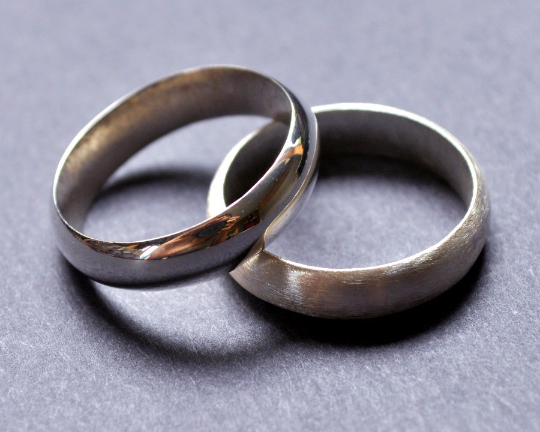 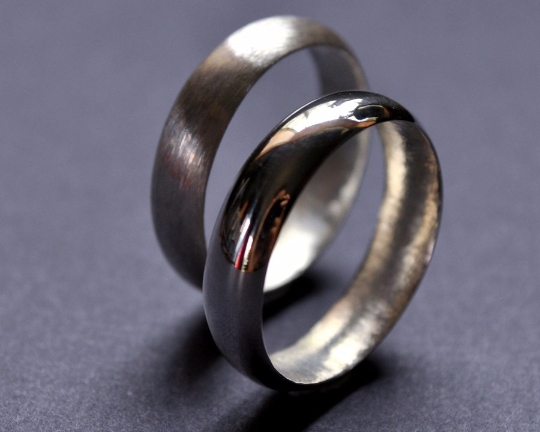 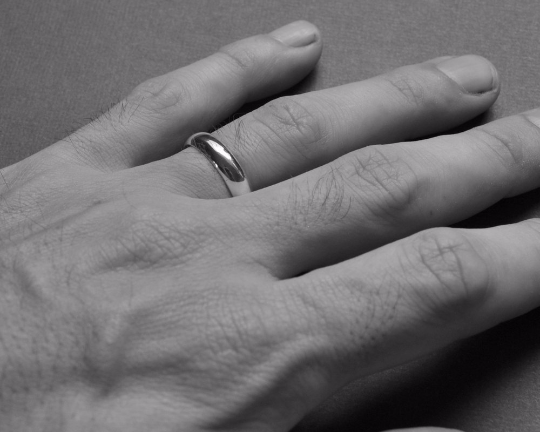 A handmade set of his and his sterling silver wedding bands for the eco-conscious gay couple. 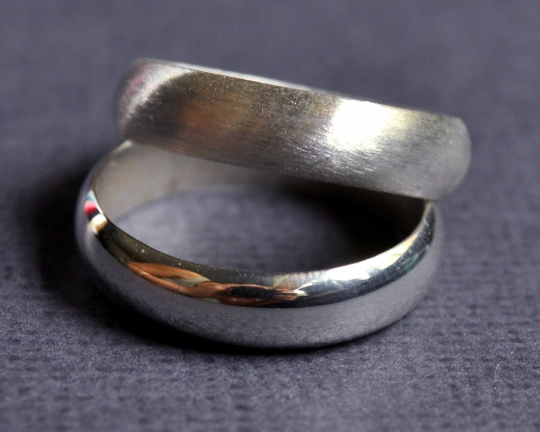 One ring has a gorgeous brushed finish, and the other has a high-shine finish. 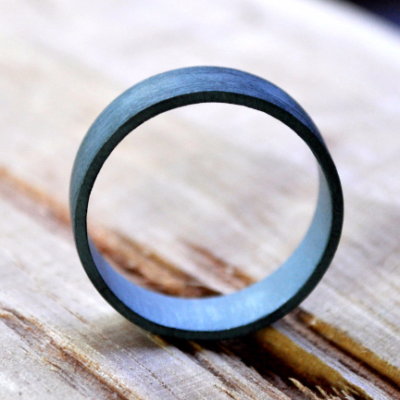 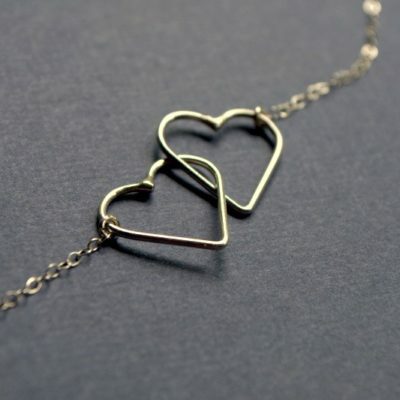 The rings are 5mm wide, with a half-round profile. 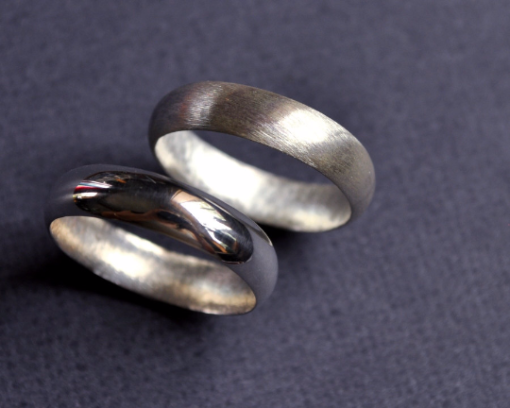 If you’d prefer both rings have one finish or the other, please just tell me in the ‘order notes’ field on checkout, and I’ll be happy to do that for you. 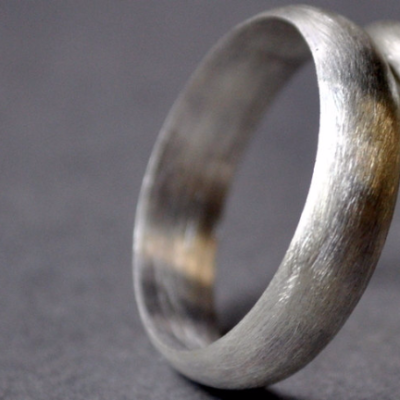 These rings will be crafted in your specified size (more info below) and is made from 100% recycled sterling silver in our solar-powered home studio.